A graduate of the Royal Melbourne Institute of Technology 18 years ago, Dr Aaron McPherson (Chiropractor) knows how bad it feels when you are not at your best. Having experienced aches and pains as a child, he sought intermittent chiropractic care throughout his childhood, believing that chiropractic was only good for the relief of pain. It was this experience that motivated him to become a chiropractor, and it was only after graduating that Aaron discovered the many other health benefits that can be experienced as a result of chiropractic care. Offering state-of-the-art chiropractic care, supported by the highest level scientific research, Dr Aaron McPherson provides each of his patients with a trusted and comprehensive approach to healthcare. Dr Aaron (Chiropractor) is passionate about providing you with the very best in chiropractic care. He does this by utilising a very gentle form of chiropractic that uses a hand-held rubber-tipped instrument to tap on specific areas of the spine, instead of the more traditional forms of chiropractic that rely on manual adjustments or cracking. A father to two young boys, Aaron is a committed family man. When not spending quality time with his family, Aaron loves to fish. Having recently moved to Hastings from Bayswater North, Aaron and his family are really enjoying the friendliness of those they have met here, and the relaxed pace of life. This along with the beautiful scenery and beaches has helped Aaron and his family feel right at home here. 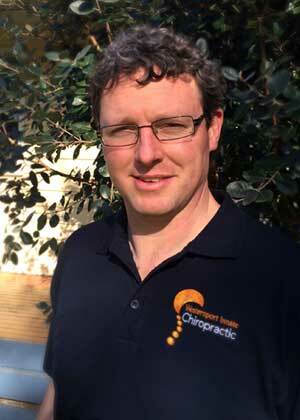 Dr Aaron McPherson (Chiropractor) would love the opportunity to help you feel revitalised and healthy! To discuss how we can help, or to schedule your first visit with us, contact us today. Call 03 5979 1772 for more information.